For many young people in out-of-home care, their experiences of trauma are often complex, ongoing and have begun when they have been very young. The impact can usually be seen in many areas of their functioning such as sleep, physical health, emotional regulation, relationships and education. How is trauma-informed care different to normal care? Well, it actually probably isn’t too much different to the way you already care for young people. 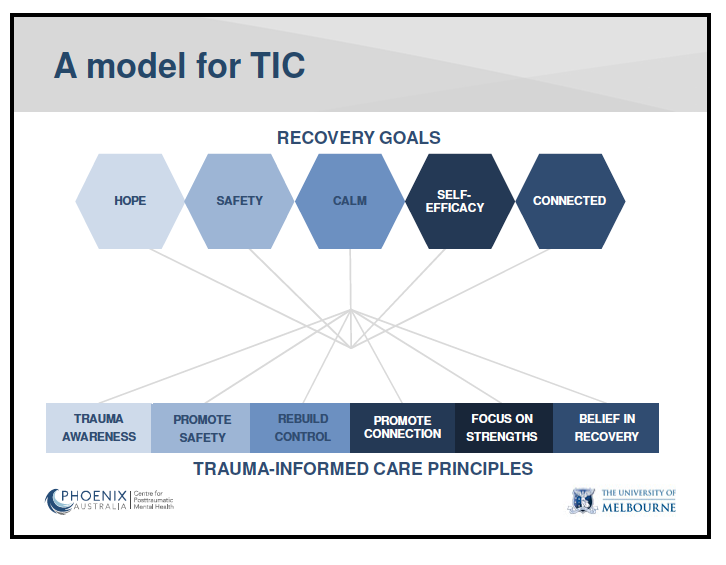 Basically, it offers a framework, a set of principles and practices, that recognises trauma as a common experience for young people in out-of-home care and one that will more than likely have significant impacts on their emotional, cognitive and physical functioning. Firstly, what do you need to know about Trauma? Any event where a young person is exposed to actual or threatened death, serious injury, or sexual violence has the potential to be traumatic. Young people may have directly experienced these things themselves or they may have witnessed it happening to others. Also their experience of trauma may be something that happened once such as a car accident or it may be something that happened on multiple occasions over a long period of time. These repeated traumas such as physical and/or sexual abuse or family violence are more common for young people in out-of-home care. These may have even been the experiences that led them to living in care. Every young person will experience and respond to trauma differently. This will depend on many things such as their developmental age, the type of trauma and the support they get. For many young people in out-of-home care, their experiences of trauma are often complex, ongoing and have begun when they have been very young. Therefore the impact can usually be seen in many areas of their functioning such as sleep, physical health, emotional regulation, relationships and education. Understanding more about trauma, in particular the impact of complex trauma such as ongoing physical and/or sexual abuse, will help you understand so much about the young person, their behaviours and what support they need. Check out Trauma for more detailed information.